I suspect all of us have been the instigator or the unfortunate recipient of an underhanded practical joke while in hunting camp. Well as innocent as I am, it’s worked both ways for me although currently I’m slightly ahead in deliveries versus receipts. Due to my perceived history I make it a point to sit at the camp-house table with my back to the corner and I’m constantly on alert for incoming efforts. Back in 2002 I took a friend hog hunting at our club on the Flint River. He wanted to know if they would attack you and at first I said yes and suggested that he always keep a climbable tree in sight just to make it more exciting and interesting for him. Then after feeling guilty for lying I told him the truth and that a pig attack wasn’t really likely. I took him to an area and dropped him off and suggested he move into the wind and follow along the edge of a clear cut which the pigs moved in and out of. I left him and drove about a half mile away and started hunting for hogs as well. After a short stalk I walked up on a couple of midsized pigs and shot both of them thinking that they would be just the right size for my smoker. I dragged them to the road, loaded them in the truck, and sat for a while trying to give my hunting partner more time to shoot a wild hog. About an hour later I headed back to pick my buddy up. On my way I passed through what used to serve as the rear entrance of our club and at a crossroads that at one point used to be our “sign in” area. There was an oversized mailbox mounted that we didn’t use anymore and as I drove by it a little light bulb came on in my head. I stopped, got out, looked at the mailbox, looked at one of the pigs, looked at the mailbox again, and figured it was worth a shot. If you want a real challenge, try cramming a 50 lb. pig in a 24” mailbox. It took several attempts and I had to bend a little strip of metal to help keep the lid closed. The effort was further complicated because the box was tilted toward the front so the pig kept trying to slide out. Finally I was able to back away and the lid stayed shut. I wiped the blood off the edges, sat in the truck and watched it a couple more minutes to be sure it would stay shut, and then went to get my friend pretty happy with my upcoming entertainment program. My buddy was waiting and as he walked over to the truck he mentioned that he had seen a few pigs but could not get a shot off. He asked if it was me that he heard shoot a couple times and of course being the honest and forthright person that I am I acknowledged it was me and that I had a pig in the truck and had missed another one. He wanted to keep looking at my dead pig but I couldn’t wait to get back to the crossroads as I intended to ask my buddy to check the mail. Finally he jumped in and as we drove back down the road I was hoping that the compression packed pig surprise had not popped open. As we pulled up to the crossroads I was relieved to see everything was still in order. I asked my buddy if he would mind checking the mailbox, to see if any other members’ might have signed in and explained that any coming in the back gate would sign in using the mailbox. They wouldn’t but he didn’t know this so he just jumped out and kept talking to me and looking around as he walked right up to the mailbox and grabbed the lid. The instant he pulled on lid the pig’s head popped out and fell on his hand and then the whole pig came sliding out like it was greased and pressurized and landed right at his feet. He jerked his hand back so fast it’s a wonder his fingers didn’t fly off and he looked like he had been plugged into an electrical outlet. He jumped and did the man scream thing followed by some impressive back pedal movements that Michael Jackson would have been proud of. For a big man he could move surprisingly well when he wanted to. He began to verbally abuse me at this point and appeared to be threatening to hurt me. I couldn’t really hear what he was saying because I was laughing so hard I had I had tears running down my face. What I would have given to have had an I-Phone or video camera then! As long as I live I’ll have the mental video re play of this memorable event. I’m pretty sure he has the same video memory only with a different perspective. Like I said earlier: When I’m in hunting camp with my friends, I sit with my back to the corner and I’m always on the lookout for incoming efforts from those who “owe” me. The bad news is my “pig in a mailbox” buddy moved away. The good news is I have new friends and guest hunting with me this year. It should be a fun season and of course it’s always great to help create memorable moments. Years ago I accompanied a friend on his first turkey hunt on his newly joined hunting club over in Alabama. This trip was planned a month ahead and because my buddy had no turkey hunting experience I suggested he watch a few videos and read what he could so he would have an idea of what to expect. A few weeks later as we made the drive over from Georgia; I munched on trail mix and explained the basics involved with chasing turkeys. We pulled into camp around mid afternoon and met the club president who invited us into his camping trailer and gave us the history and background of the club and property. 15 minutes later all three of us jumped in my truck and took off for a quick tour of the club property. As I drove I continued to munch on my trail mix but about 15-20 minutes later I started having digestive issues which I’m pretty sure were due to the dates or raisins. Realizing what was coming down the pike, I rolled my window down and as a common courtesy; I suggested they do the same. The club president didn’t take this very well and demanded that I stop the truck immediately, which I did because he was already opening the door and it looked like he was going to bail out into the ditch before I could pull over. He launched himself out of the truck like we were under a chemical warfare attack which in a way we were, and stood with his arms crossed leaning against the tailgate. I wasn’t really expecting anyone to be thrilled with the event but was a little surprised he was taking it as he was. After what I guess he thought was an appropriate de-fumigating period he climbed back in but didn’t seem to think as highly of me as he did when we first arrived. I had to stop two more times and let him go through the evacuation procedure and stand outside the truck with his arms crossed at which point he told us that we had seen enough of the property and was ready to go back to camp. I believe he would have walked if he could but it was too far. On the way back we saw 3 gobblers and several hens in the back corner of a large pasture. When we asked if we could go after the birds he told us it wasn’t part of the property although I know he said it was when we went by it the first time. It occurred to me then that the date and raisin debacle was about to cost us a chance at a gobbler. I knew there was a reason I didn’t like to eat health foods. After we pulled back into camp, he either didn’t want me to come in his trailer or he started liking us again or simply thought he was safer to get rid of us because he changed his mind and told us that the pasture with the gobblers was now back in his possession and that we could hunt it. He mentioned that the birds might exit the pasture off the back right corner and that there was a narrow food plot that they might head to 75 yards from the pasture. He told us how to get to a logging road that would take us to the plot the far end of the food plot. Fortunately I was born with a genetic make up that allows me to drive to the “Dukes of Hazard” standard when the situation calls for it. I displayed this gifted driving ability all the way back to the logging road that led to the food plot. As I fish-tailed around the turns and re-arranged everything in the bed of the truck, I told my friend to be ready to hit the ground running and that we had to beat the birds to the green strip. As we blew past the pasture the birds were leaving the field off the back edge just as we had been told so I knew it was going to be close. I slid up into the logging road and we bailed out jamming shells into the gun as we sprinted towards the food plot. The birds weren’t in sight yet and I knew they would come from the left if they came at all so we backed off 25-30 feet into what little cover we had with my buddy 20 feet to my right. I really had no idea how my partner would react with the birds so I told him to get his gun up on his knee and point it straight out towards the green strip. I also told him to be statue still, and not to shoot until I told him to. If the birds came in we’d just let the gobbler walk in front of his gun and if the first bird got in front of him I might have a chance on one of the other gobblers if one trailed in. I threw out a couple of yelps and within a couple minutes caught a glimpse of a gobbler 50 yards away in full strut coming down our side of the strip. Just as I was about to communicate that a bird was coming, my friend (who for some reason is incapable of whispering) said “BOBBY, SOMEONES COMING”. I began to panic and wondered who would be walking in the woods at such an inopportune time knowing they were about to spook our bird. Then it occurred to me that my friend was looking in the direction of the gobbler and was seeing the red and white head of the fanned out bird through the foliage and didn’t know what he was looking at. Apparently he had not watched any turkey hunting videos. Once this craziness registered I whispered, “It’s the bird”, afraid the bird had already heard him. Then to my surprise he came back in an even louder voice with,” NO, IT’s SOMEBODY, THEY’RE RIGHT THERE”. By this time I was about to go into cardiac arrest and in a terse whisper, I said “IT”S THE BIRD, BE QUIET!” At that moment he realized what was happening and quieted down. Somehow the bird ended up being alone did not hear us, strutted by 25 yards away, and walked in front of my friend’s gun. To his credit, he did stay still and when I said “shoot”, he plastered the bird. 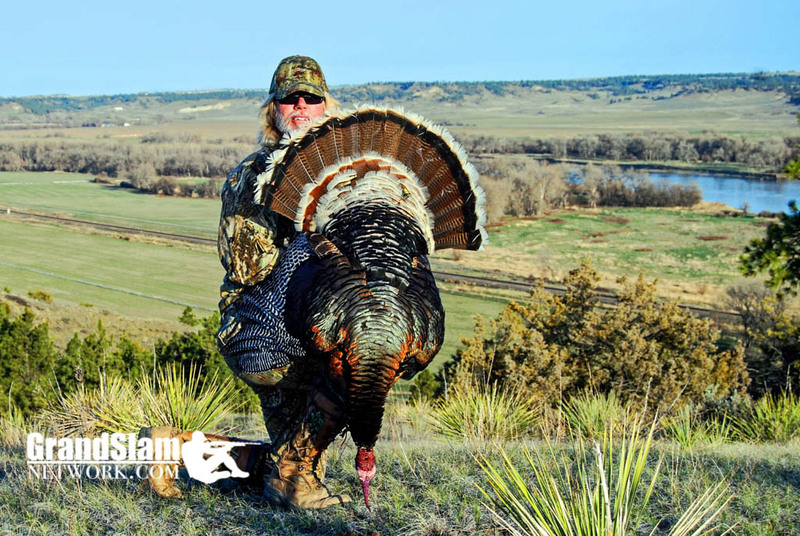 As we were standing over his first gobbler he said, “I don’t suppose I can persuade you to not ever tell anyone about this can I”? Of course, completely understanding how embarrassing this must be for him and being the sympathetic and reliable person I am, I said, “Oh you’ll never have to worry about me saying anything”. While I’ve been fortunate enough to be the creator of “memorable Moments” for others, I’ve been the unfortunate recipient of a few memorable moments myself. For the better part of a 9 year period I’ve booked a ranch in San Angelo Texas to hunt Rios. There’s a core group with me each time with a couple new guest rotating into the mix each season. Although we usually fly in on the Friday before opening day, in 2009 my dad and I along with a couple friends from Florida, , decided to fly in on a Thursday to avoid what can be an overly interesting flight scenario on the Friday before opening day. These flights are notorious for being overbooked so you have to worry about getting bumped or if your gear will make it. 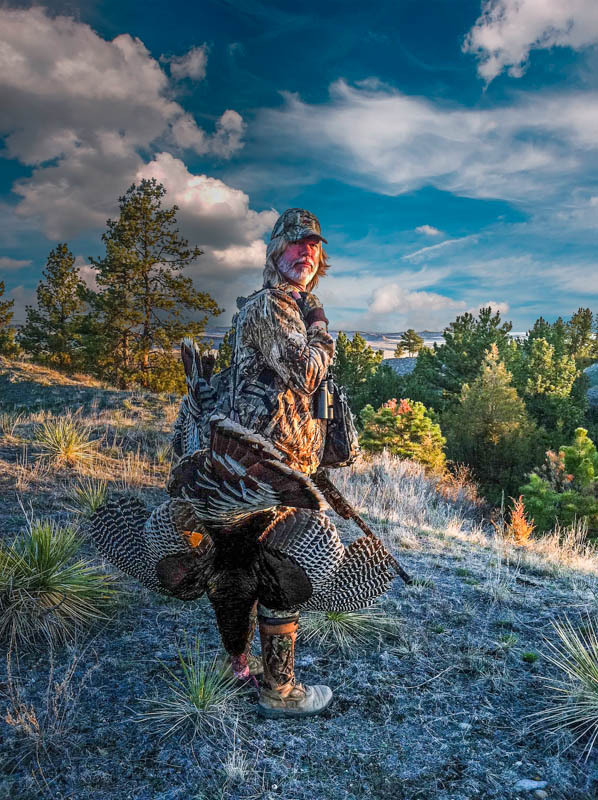 If you’ve ever flown on a plane with nothing but turkey hunters that sounds like someone just released 20-30 yelping hens you’d understand it takes a special seasoned flight attendant for this ride. My two friends from the Sunshine State who were on an earlier flight made it in without any problems but due to extremely high winds the San Angelo airport closed before our flight could get in stranding us in Dallas for the night. We flew in the next morning and arrived in camp by lunch time. The Florida boys seemed especially glad to see us and offered to cook lunch. They started scrambling around in the kitchen and one of them asked if I’d get a Ziploc bag of ice out of a bucket in one of the upright freezers. I opened up the freezer, saw a 3 gallon black bucket, reached in and retrieved the bag and flipped it over to him. A few seconds later he mentioned there was a second bag of ice in there and asked if I’d mind getting it. Not thinking anything of it because I trust my friends, I opened up the freezer again and this time I tilted the bucket over and put my face right down to the rim to peer inside. The kitchen was dimly lit so it must have taken about a half second for me to focus but when I did all I saw were diamonds and a huge coiled up rattlesnake about 15” from my face. I sucked air, screamed like a woman, and threw the bucket on the floor. I’ve had plenty of snake encounters but finding a snake in the bucket in the freezer in the kitchen was a first for me. My two so called friends must’ve thought this was the funniest thing they ever saw because they were laughing until they were crying and slobbering on themselves. I flipped them something else this time and once I recovered I defined what the word “payback” means in Georgia. I was on edge and on alert for incoming efforts for the rest of the day and the rest of trip. I felt the need to go check my bunk, the truck I was going to drive, and even raised the toilet lid carefully. But, I noticed they were on guard as well and seemed to examine everything from their boots and vest to making sure their gun barrel wasn’t clogged and that they still had choke tubes. I even heard one of them holler out “all clear” one morning before they got in their truck. I did notice that for the rest of the hunt every now and then one of them would bust out laughing for no apparent reason. I’m pretty sure it was the memory of the “memorable moment” they had provided me. According to a research scientist from the University of Central Honduras, it is a scientific fact that there’s a direct correlation to the height of a hornets nest and the accumulated annual snow fall in a given region. This is based on a “Honduran Snow Fall Theory” founded by Dr. Akebedo Yinstein from U.C.H. who reportedly has traveled and tested this theory in 6 northern states over the past 4 years. According to the transcripts formulas are adjusted based on north/ south latitudes and can vary in odd / even years, and are less accurate during years with high hurricane activity. Ohio requires that feet be multiplied by .075, central Kentucky by .060, and Georgia by .035 on even years and .025 on odd years. One Honduran Scientist stated that a variable exist that shows if you can bag and relocate hornets’ nest and re-hang at lower heights 30 days prior to the first snow, you can reduce snowfall amounts in most regions. He stated that this method requires that at least 5 nests at least 14” in diameter and in the far 4 corners of each state be re positioned to achieve results. Dr. Yinstein, who recruited several assistants from various insane asylums in his 6 state studies to assist him in his testing of hornet nest relocations, stated that smaller nest sizes offered conclusive, conscious, consequential, conclusions collectively. It’s a scientific fact that turkey’s inhabiting tobacco growing areas not only eat the bugs that thrive in tobacco growing regions, but also ingest the leaves of the plants themselves. According to a study conducted at North Carolina Uni State University, it has now become a preferred food source with the ingestion of nicotine and other tobacco oil residue having a noticeable impact on the birds observed. 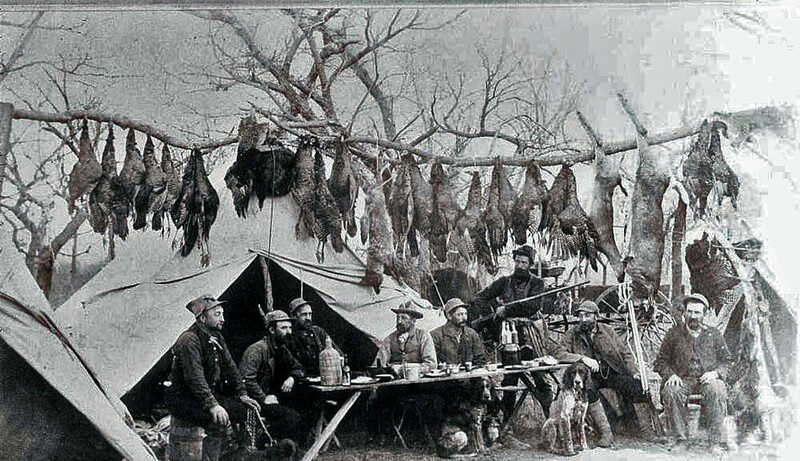 The report stated that these birds tended to average less in weight and appeared to eat faster but less than turkeys from other regions. Heavy feeding immediately after morning breeding was noted as well. Turkeys included in the research showed signs of nervousness with many becoming more aggressive towards each other immediately after tobacco crops were harvested. In several instances tractor operators were attacked while harvesting crops causing enclosed cabs to be required as a safety precaution. 84% of the turkeys monitored showed “withdrawal” type symptoms with wider ranges of mood swings. 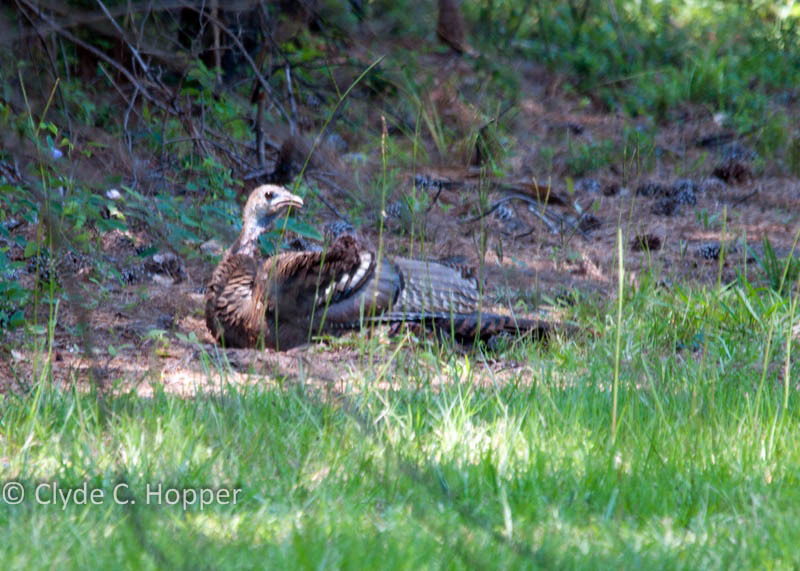 One section of the study mentioned gobblers fighting a hen which is unheard of in other areas. The normally light color of the meat was also darker and streaked in a number of cases and the normally white features in the wings were more of a brown shade of color with a tarry type residue. One biologist stated that the gobbling from the birds in the area of his study had a distinctive hack mixed into the gobble. Another noted that many of the older birds appeared to drool or slobber on themselves similar to cattle. In a bizarre case near Hickory N.C., a motorist who stopped off a rural road to empty his car ashtray was attacked suffering serious arm pecking injuries as two gobblers charged out of a ditch in what authorities believe resulted from them sensing the processed tobacco presence. 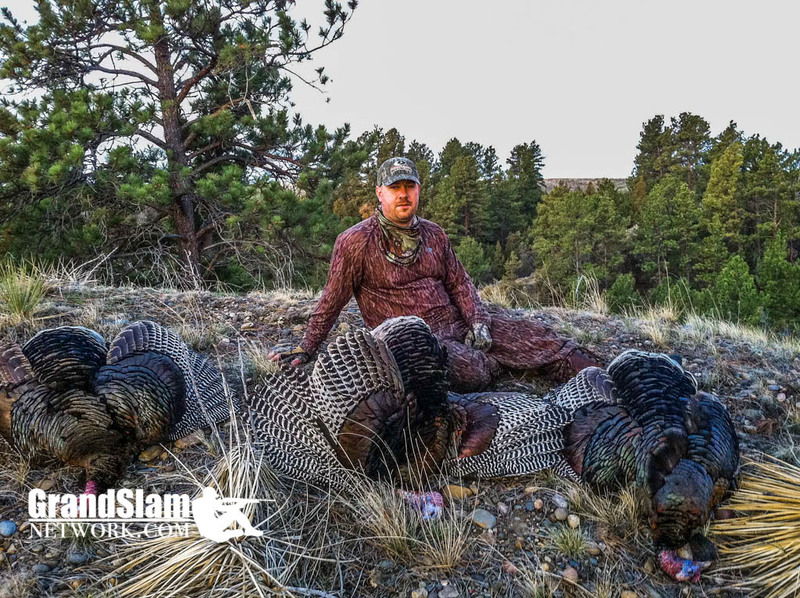 A.C.M.E Hunting Systems, an up and coming manufacturer of unique hunting systems has been aware of this phenomenon for three years and has developed a “Turkey Tobacco Camouflage” pattern that is used on a line of their clothing and Bunker Blinds. 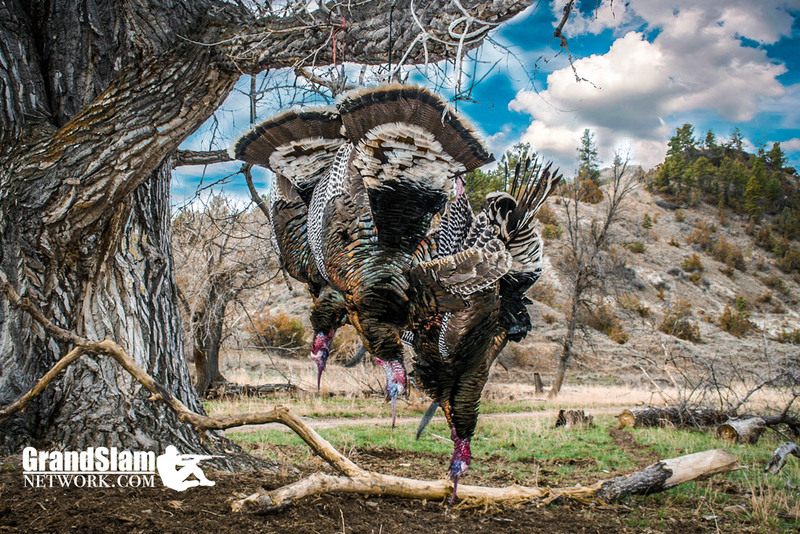 They admitted that several of their pro staffers had received numerous injuries from previous testing but that the camo worked better at getting turkeys in than any call ever made. DNR officials are reviewing the Hickory N.C. event and A.C.M.E’s findings to determine if tobacco product possession will be outlawed for hikers and hunters in order to protect in what could be an outbreak in turkey attacks. Cigarettes and chewing tobacco may have to be left in vehicles and not allowed into WMA’s or any state owned properties. A follow up report will be released in February of 2014 releasing the results of their findings. Several years ago I had a friend that joined our hunting club located in central Georgia along the Flint River. This property was loaded with wild hogs and he seemed as anxious to shoot one of them as he was to shoot a big deer. He had no idea where to get started so I told him where one of my secret spots was and that he would be welcome to hunt there. But: I asked him to focus on killing a big buck and to hold off on the pig killing until after the rut was over. I specifically asked him not to shoot a hog in the place I was sending him because there was a good buck using the area and that I’d be hunting some there as well. I explained that the best way in to this location would require him to park just off the main highway and I told him where the “bright eyes” markers were that led to the area he could use his portable stand. He had the luxury of adjusting his work schedule and could hunt during the week. Several days later he called me on my cell phone and said he had shot a big boar out of the stand but left him there because he couldn’t do anything with him by himself and he didn’t really want him anyway. I couldn’t leave work and drive two and a half hours to our lease to help him and I was also a little disappointed that he hadn’t heeded my request about not shooting a hog out in a good buck area that early in the season. Sometimes it pays to know the “right “people, so after I got off the phone and had time to think about it, I called my “Special delivery” friend (see “Special Delivery “ / Humor in the Field” ) who worked with a guy that was just incredible at doing impersonations. This guy really had “Hollywood “talent and could entertain you and sound like anyone he wanted to. Together my buddy and I formulated a plan and recruited Mr. Hollywood to help carry it out. The next afternoon my friend who had killed the hog called me and seemed upset and said, “Man I think I have a problem”. Being the good friend that I am I voiced concern and asked what happened? He told me that he’d just gotten off the phone with the game warden that had tracked him down through his tag number and obtained his home and cell phone numbers. He continued to tell me that a couple of the timber cruisers that were marking trees along the waterways for future timber cutting had heard him shoot, found the dead pig, saw his truck parked on the highway, and just happened to get his tag number. They according to my friend had reported all of this to the game warden. 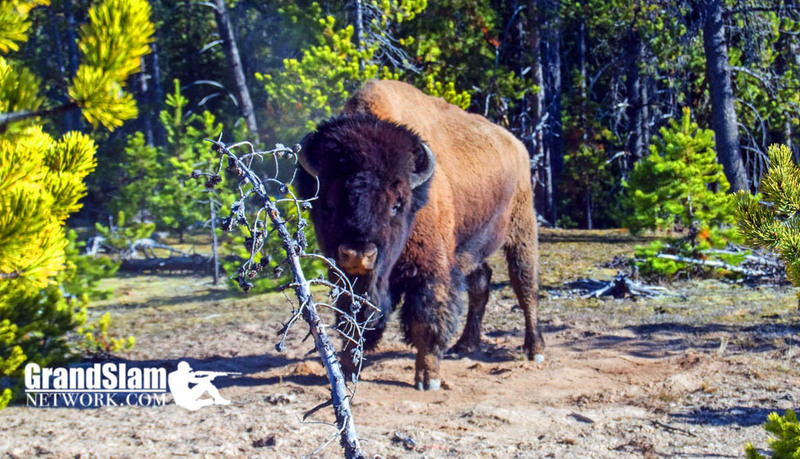 The warden had told him that based on the timber cruisers statements that he was a suspect of violating the “Cruelty to Animals” and “Game Waste Act” and that his hunting license had been electronically suspended until further notice. He stated that he was now in their computer data bank until this issue could be resolved. The warden also demanded that he appear at the county Sherriff’s office the following Saturday morning at 8:00 for questioning by the DNR officer and a sheriffs deputy. He was told to bring his hunting rifle which would be confiscated so they could conduct a forensic and ballistic analysis. Of course being surprised that my friend was being put through the wringer and really impressed with how well “Mr. Hollywood” had done his job, I expressed my concern for him and acknowledged it did sound serious. I suggested that he might want to have an attorney present and mentioned how bad the timing was since the weather was going to be great that weekend and the rut was getting close. I could tell that he had bought into our recruited Hollywood impersonators acting program and had bit hook, line, and sinker. I began to feel bad about it so I started letting him slowly know that he had been had. I know he wanted to be mad at me and he did have a few abusive words for me but he was so relieved he never got really angry. I reminded him that next time someone shared their hunting spots with him and made special request regarding such, that he might want to keep those suggestions in mind so bad things wouldn’t happen. I’m pretty sure it sunk in this time. 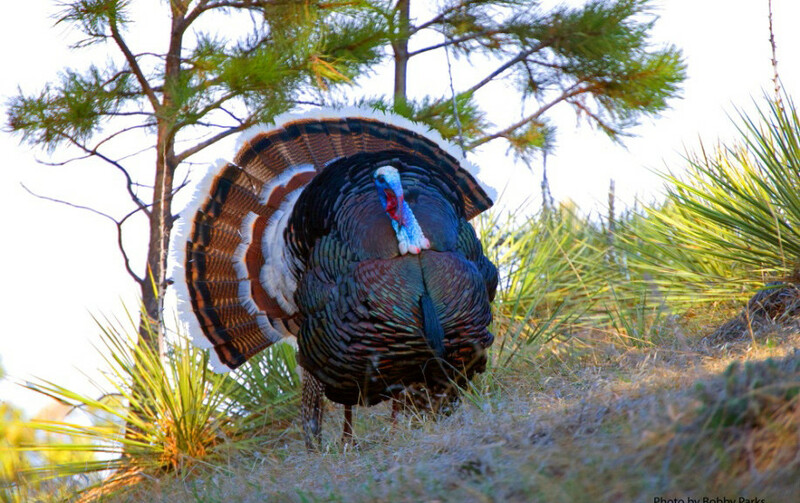 OWR: Report: With all the concerns facing us today, the documented increases in wild turkey aggression and their alarming annihilation of the worm, slug, and bug populations in the U.S. are quickly rising to the top. A recent Zogby poll indicated it had moved into the top 10 concerns by environmentalist surpassing ozone deterioration and greenhouse fears. 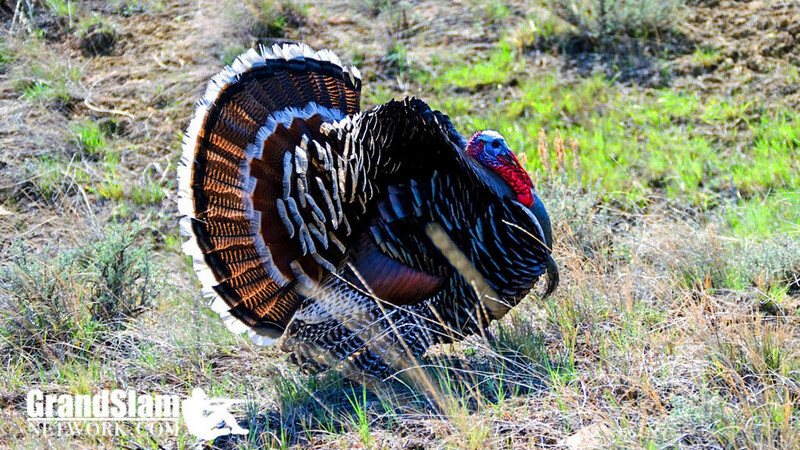 A study conducted by the SBIC (Scientific Bug Institute of California) has shown that an estimated 2.1 billion insects a year are killed by turkeys in America. The SBIC study also indicated that if this phenomenon continues unchecked many species including crickets and the Southeastern Earthworm could become endangered if not extinct by 2020. Some slugs in the U.S. are already feared to be beyond recovery. A senior scientist, Motobota Snotlik, who was involved in the study, claims that this crisis could set in motion an irreversible impact on the natural food chain and upset the earth’s natural balance. A documented incident in Florence South Carolina involved several gobblers ransacking a bait store in an effort to get to crickets and worms. The store owner was able to escape with only scratches and pecking injuries and was treated and released at Florence General Hospital. A customer was not so lucky and suffered serious injuries when he tried to escape the attack by running into the street and was struck by a Pinky Dinky ice cream truck. 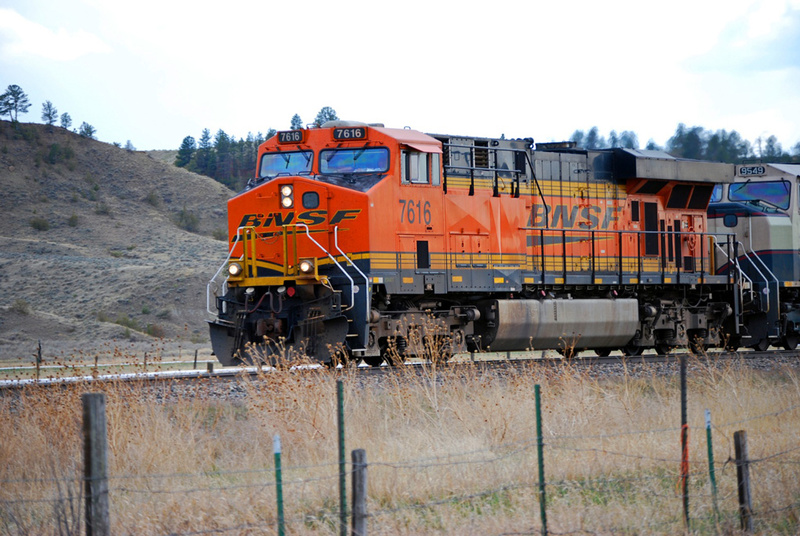 The victim was expected to make a full recovery and was listed in satisfactory condition. Authorities believe the music played by the Pinky Dinky truck may have assisted in dispersing the turkeys from the scene before emergency vehicles arrived. Scientist are theorizing that the sound made by crickets can be heard at long distances by turkeys who are known to possess a keen sense of hearing, and that bait shops should consider playing Pinky Dinky background music or install a sound barrier around their businesses in areas with known turkey populations. 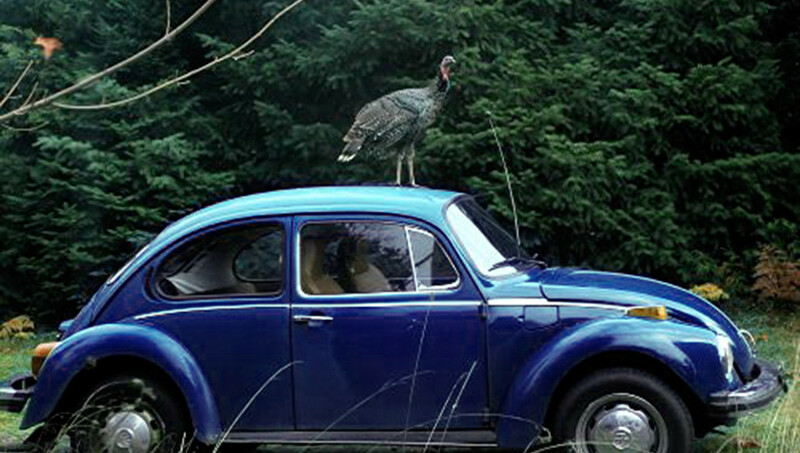 The music from the song “YMCA” is also thought to be effective in keeping turkeys away. One scientist claims that turkeys are descendants of the prehistoric terradactyl and a normally dormant gene that created aggressiveness in terradactyls is part of all turkey subspecies’s genetic make up. He theorizes that changing climatic conditions due to Global Warming may have triggered a reactivation of these aggressive genes and tendencies. He voiced concerns that over the next 2 decades this aggressiveness could escalate and involve actual attacks on humans and cause an increase in size of the bird itself. He stated that a “Planet of the Apes “world take over type of scenario is not out of the question. 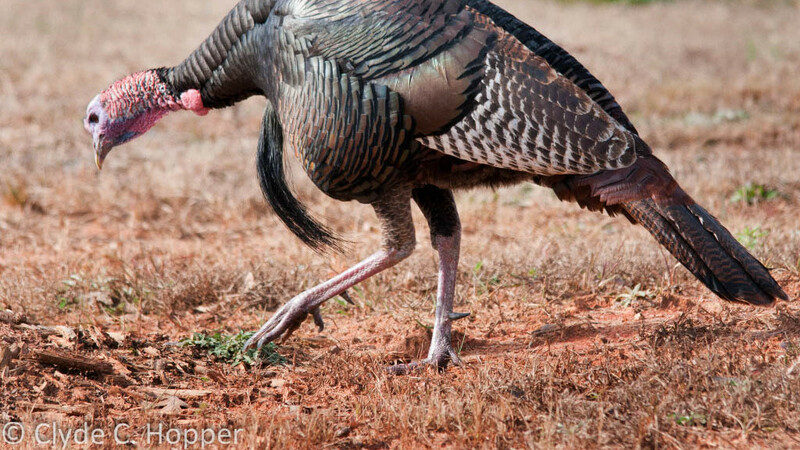 Although many measures are being considered to address this phenomenon, authorities claim that turkey hunters can help with this effort to save America’s bugs. They recommend that all hunters should practice and improve their calling skills and read and study ways too increase their killing abilities. Other suggestions included improving shooting patterns, using 3.5 “shells and adding assault weapon extensions for faster follow-up shots for group encounters. A local DNR officer suggested that hunters do the following: Ask your non-hunting friends to make donations to your hunting funds. 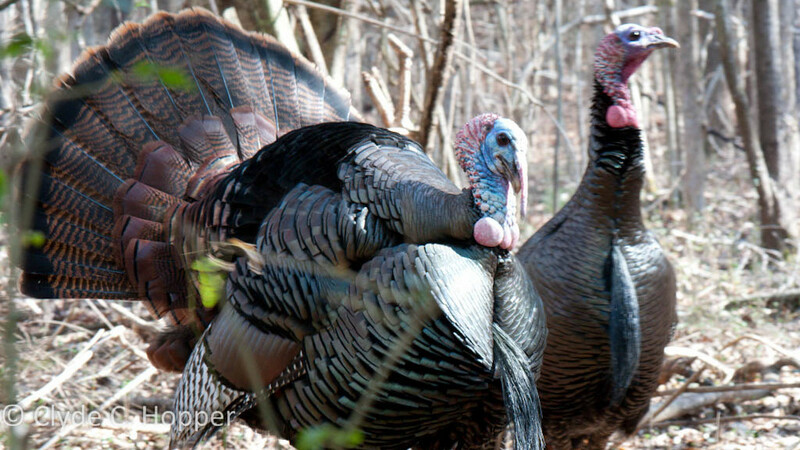 Ask friends and family to assist in finding and gaining permission to hunt tracts of land that turkeys may be congregating in for a future attack. Persuade your employer to provide you with extra paid days off from work so that you can dedicate more time to this important effort. 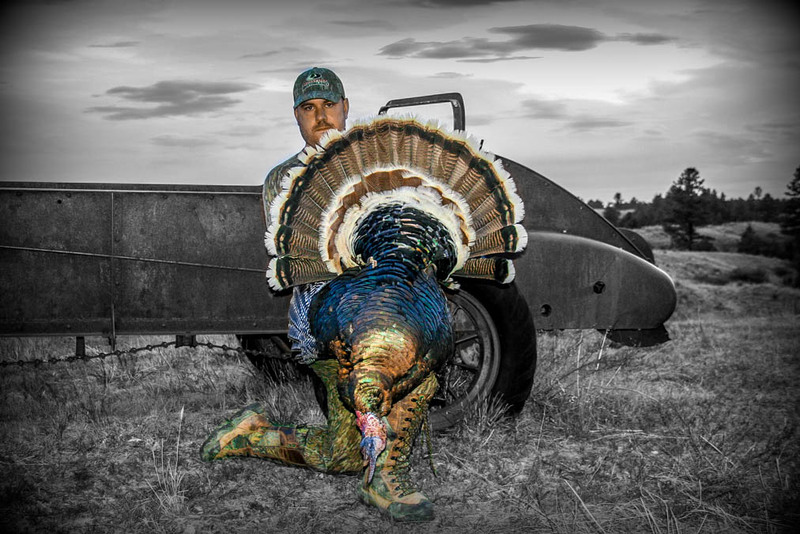 Encourage everyone you know to donate to the Bobby Parks National Bug Savers / Hunting Fund to further assist him and his team of turkey trackers in leading this effort to save the bugs. The non profit organization, Neck Busters Inc. is also encouraging donations. Contributors will receive a “Save the Bugs” tee shirt and a cap with an “Earthworms Deserve to Live” emblem.